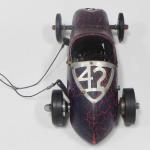 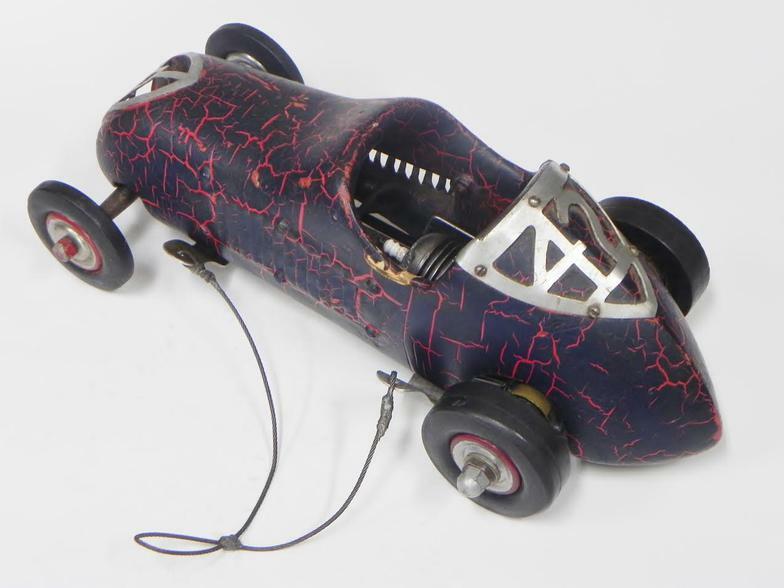 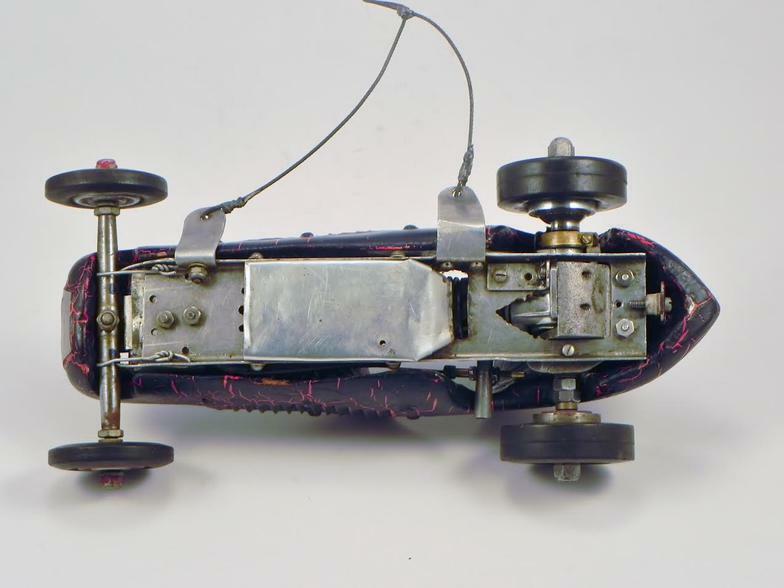 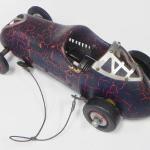 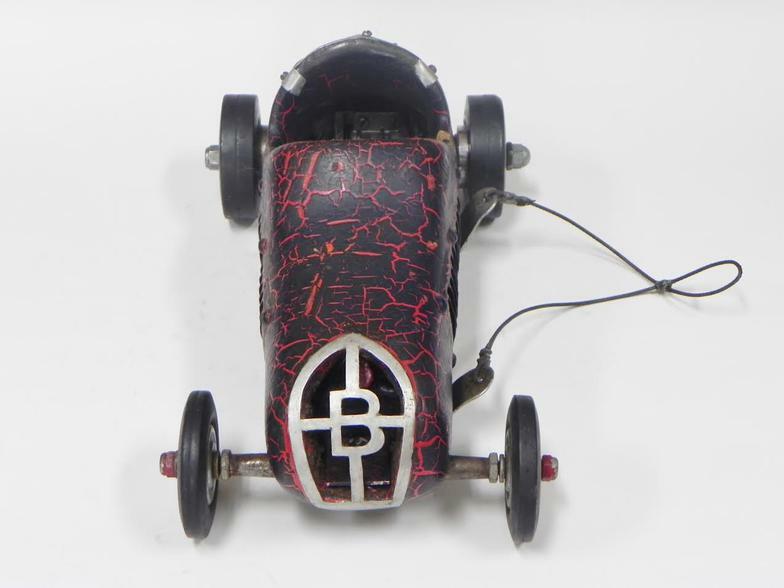 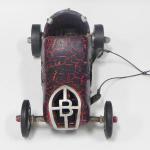 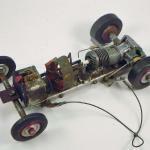 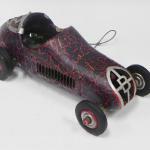 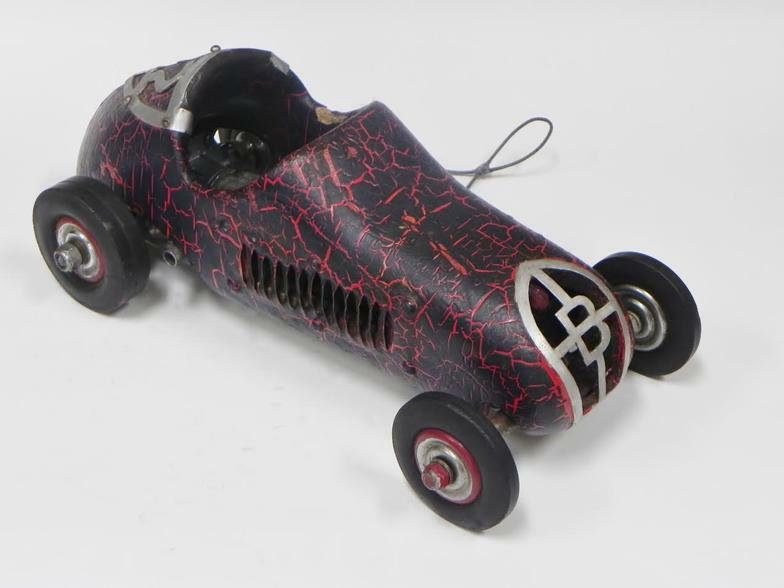 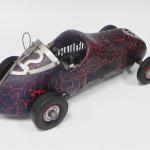 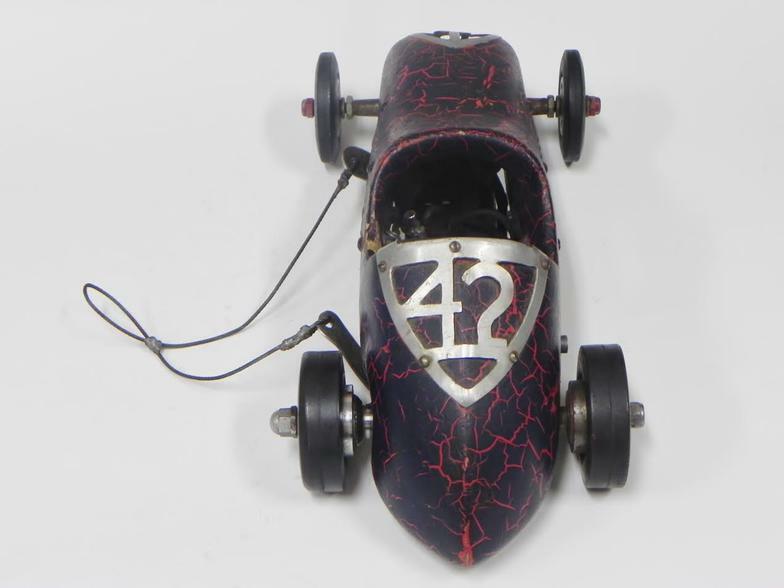 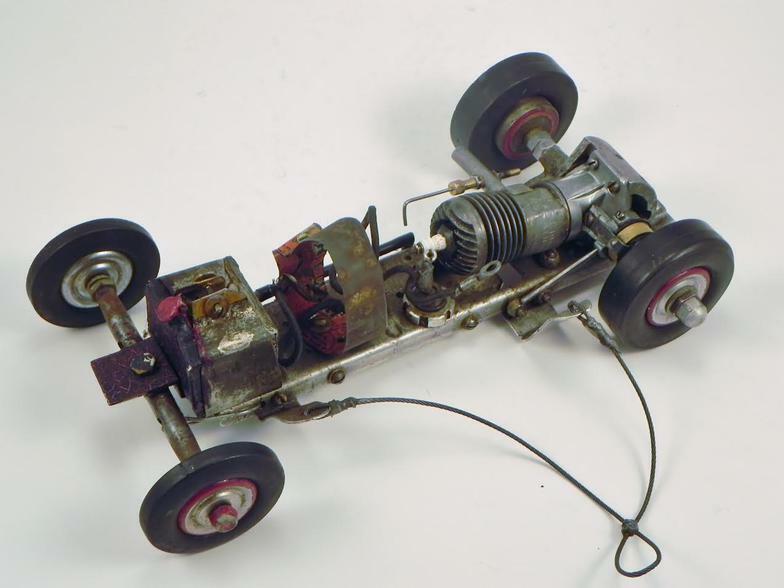 ​This one-off home-built mite car (circa 1942) was designed and built by “Barney” Lathrop of Buffalo, NY. 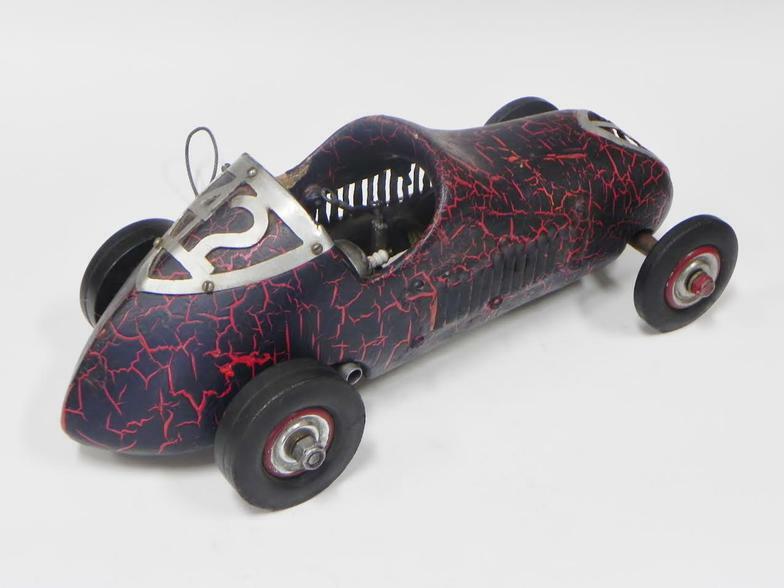 The chassis was formed from sheet aluminum chassis and the body is hand-carved wood with an aluminum grill and number plate. 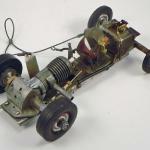 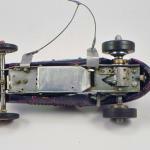 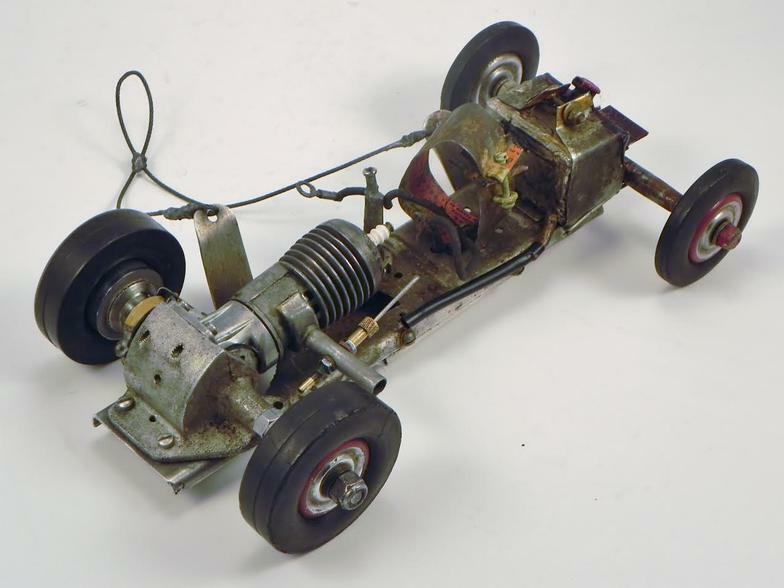 The wheels and tires, along with the Bunch Mighty Midget spark ignition engine and motor mount, were salvaged from a Dooling PeeWee which had previously been wrecked.